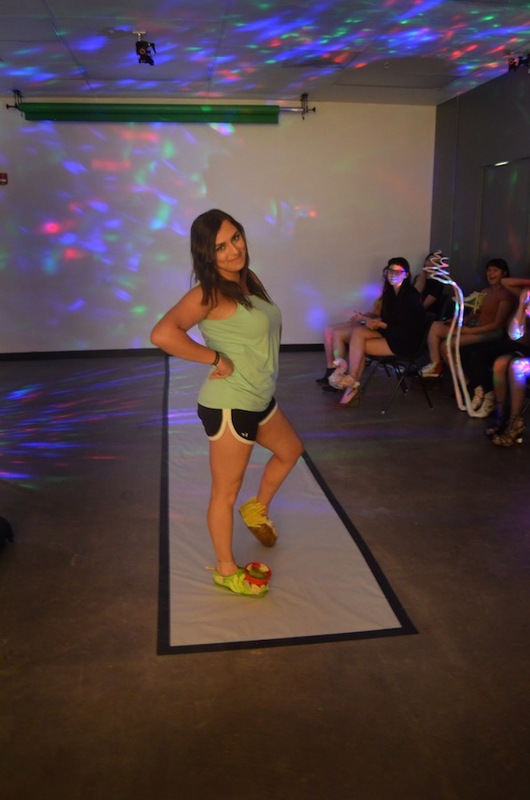 Department of Art | Hart’s Soft Sculpture Class WALKS the Runway! 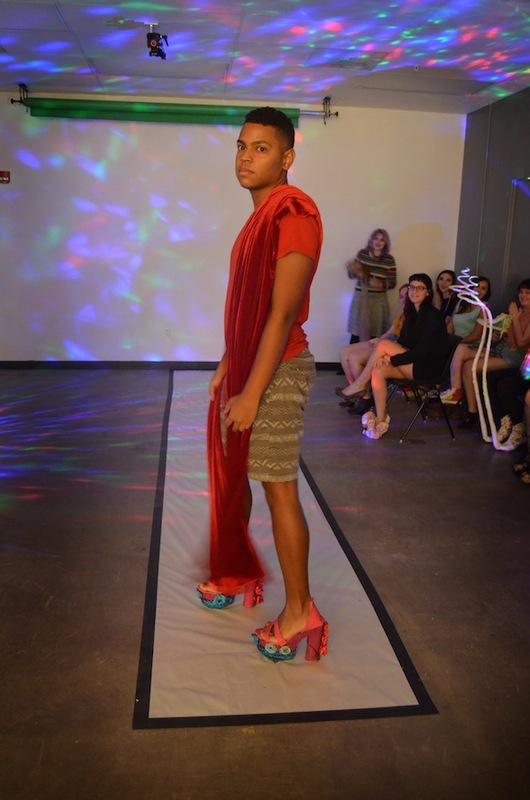 Home » News » Hart’s Soft Sculpture Class WALKS the Runway! Hart’s Soft Sculpture Class WALKS the Runway! For their first assignment, Art & Sole, Adjunct Professor Tenee’ Hart’s Soft Sculpture students were tasked to transform a pair of shoes [of their choice] into a wearable piece of art. Their creations had to somehow reflect their own personality and/or their interests. For critique, students examined their objects both on and off of their bodies, presence vs. absence. 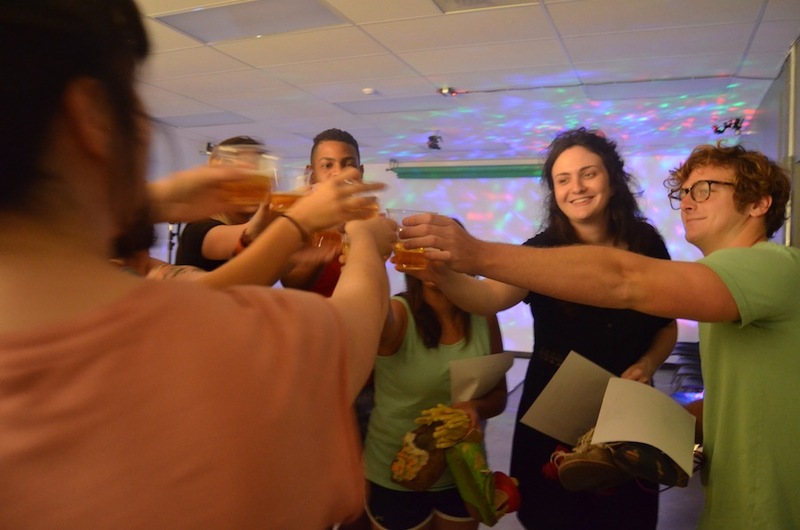 Hart’s Soft Sculpture students were truly models for a day – including a professional photo shoot session, a runway show, and even some bubbly (sparkling cider style of course)!